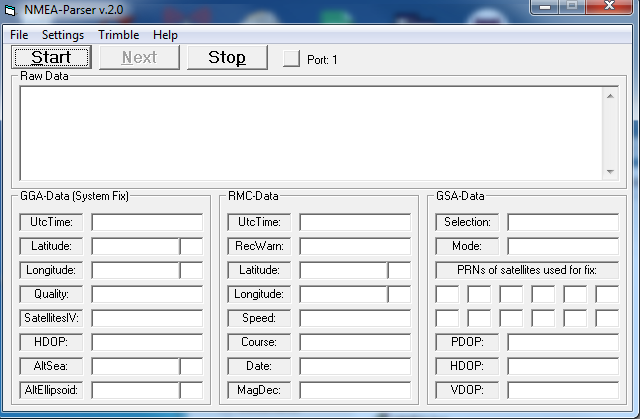 This program is designed to display NMEA sentences generated by a GPS receiver via serial interface. It is work in progress, so do expect bugs, unfinished business, and generally unexpected things to happen (or not). It is intended for those who want to tinker. Sourse code (Visual Basic 6.0 Pro) is provided, support is not. 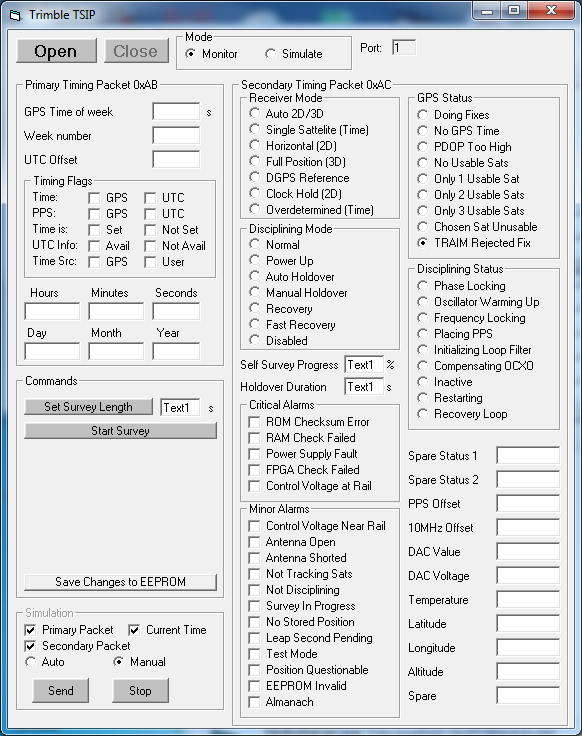 Note that the TSIP mode eventually evolved into the Thunderbolt Simulator, which is somewhat closer to a finished tool.